Welcome to beauty & the bubz, a beauty salon located in Padstow with a twist! After years of working in the beauty industry we have finally a place to bring the kids while we are being pampered. Welcome to Beauty and the Bubz, Your dream, and ours, come true! A beauty salon located in Padstow where kids are supervised in a fully equipped play room while mamma gets some much needed me time! 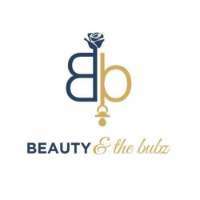 Beauty and the Bubz as a professional beauty salon offer a more natural approach to beauty, enhancing your look and creating confidence within. We are a team of like-minded souls who strive to learn and implement beauty techniques while educating our clients on health and wellness for the better of themselves. Our beauty salon provide beauty care with modern technology and knowledge & skills from our expertise. The services we offer consist of basic skin care to problem skin care, hair care, and body care to maintain health and beauty at all times so we help clients to achieve their body and face shape look ideal at all ages. Beauty and the Bubz always give the best results of care, comfort and of course privacy for clients. Professional teams are ready to help our clients to get maximum care in order to feel beautiful and confident and hey you can even bring the kids. Looking for a professional beauty salon in Padstow? Book your appointment on Beauty and the Bubz today and bring your kids! We would love to pamper you and keep your bubz busy while you enjoy any of our indulgent treatments. For a complimentary consultation, please submit your email or call us to schedule a free consultation with one of our certified professionals. Beauty and the Bubz offer a more natural approach to beauty, enhancing your look and creating confidence within.